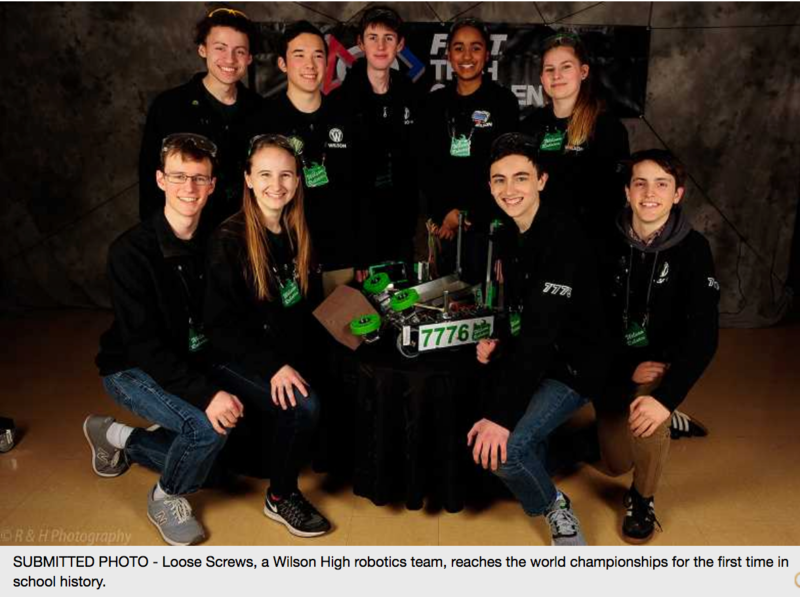 According to article written by Corey Buchanan, Portland Tribune (April 6, 2018), the Wilson Robotics team (Loose Screws) qualified for the world championships for the first time in program history. Loose Screws placed second at the state competition, won an award for their engineering notebook and also won the Innovative Control award at the Western Regional Championships to earn a spot in the robotics world championships in Houston, Texas. Follow this link to read the entire story: http://portlandtribune.com/scc/103-news/391176-281196-wilson-robotics-makes-history. 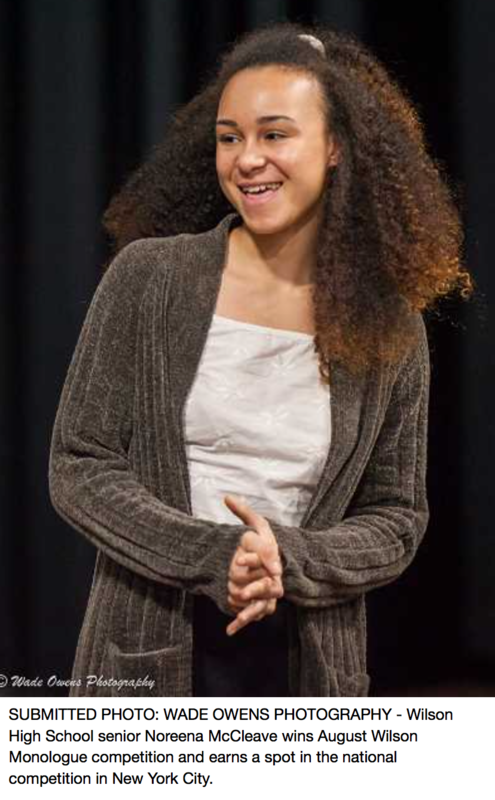 According to article written by Corey Buchanan, Portland Tribune (April 1, 2018), Noreena McCleave (Wilson senior) finished first out of 13 actors and earned a spot in the August Wilson National Monologue Competition. Follow this link to read the entire story: http://portlandtribune.com/scc/103-news/391169-281221-mccleave-does-legendary-playwright-justice. Questions: contact Coach Jeremy Shetler '92 at jshetler@pps.net. • One in four college students graduate with student debt. • Tuition and fees to attend a public four-year university have jumped 275% since 2000. • Over 1.48 trillion in loan debt is collectively owed which is about 790 billion more than the total U.S. credit card debt. • The average class of 2016 graduate has $37,172 in student loans which is up 6% from last year. • Oregon has fallen to the bottom tier nationally of states providing financial support for its neediest students. All of this might be bad news for new high school graduates except that Wilson High School is unique. Wilson has a community that supports our commitment to helping our most deserving seniors succeed after high school. They first appealed to alumni in 2015 to join the Scholarship Initiative and your response was overwhelming. Your generosity has enabled them to provide two $1000 scholarships annually. Wilson is asking once again for your support as they begin a drive to raise $50,000 to endow perpetual scholarships for Wilson students through the Oregon Community Fund program. • For local businesses, you will receive a Wilson Student Supporter sticker, and the opportunity to advertise on Wilson's website. • For donations of $1000 or more you can name your scholarship and attend the June awards ceremony to present your gift in person. • Changing the lives of deserving Wilson students! • Checks can be mailed to: Wilson Scholarship Initiative, 1151 SW Vermont, Portland, OR 97219, ATTN: Erica Meyers. Please include your graduation year. • Credit card contributions can be phoned to: Ana Curtis, Wilson bookkeeper, 503-916- 5280, ext. 75266. Please support Wilson's future leaders! No amount is too small. They thank you. Questions? Contact Tina-Marie Baskin, scholarship coordinator (tmbaskinwriting@gmail.com). 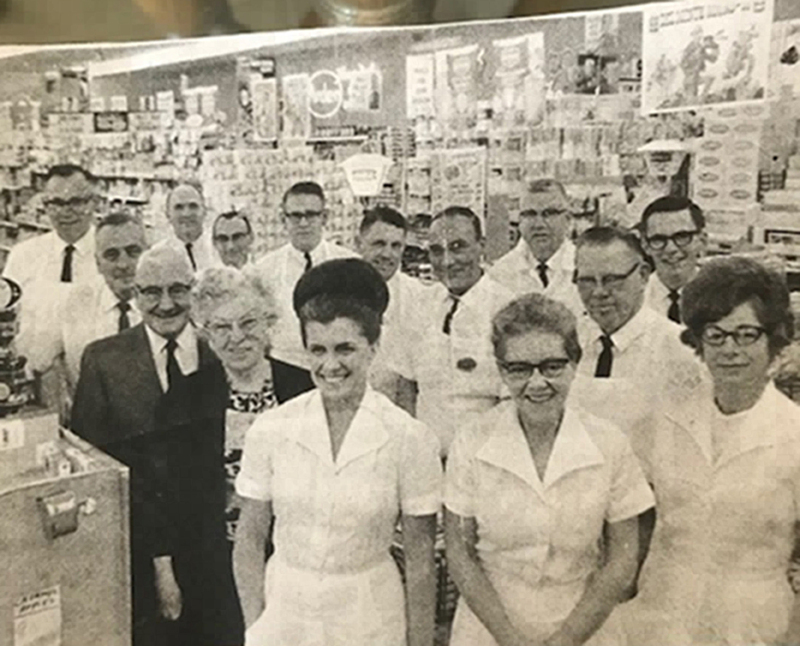 James Lynch, Jr., James Lynch, Sr., Mary Lynch and Bernadine Mae Lynch with Lynch’s employees circa 1966. Bernadine Lynch passed away Sunday, May 20, 2018 in Chandler, Ariz., at the age of 95. She was born on September 19, 1922 in Colfax, Wash., to Gladys and Miller McCutchen. She attended Llewellyn Elementary School and Commerce High School in Portland. She was married to James Lynch, Jr., for 65 years until his death in 2009. 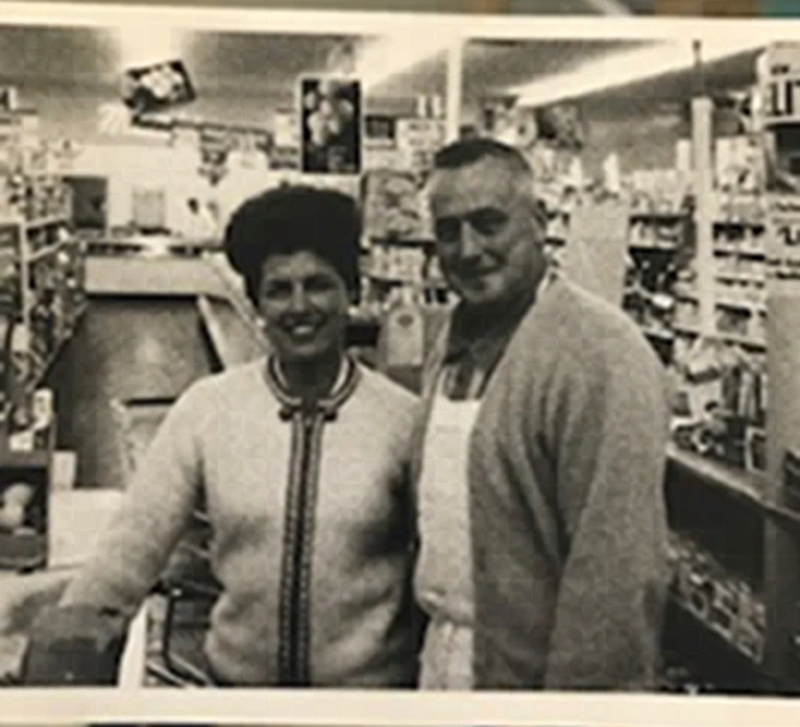 The family owned Lynch's Market for 50 years in Hillsdale. She will be missed by her daughters, Linda Easthope '64 and Janet Vehring (Rich) '66; her grandchildren, John Easthope (Erin), David Easthope (Anne), Laura Thompson (John), Stacey Clark (Matt) and James Vehring; and her 10 great-grandchildren. Services was June 3, 2018, at River View Cemetery, Portland, OR. 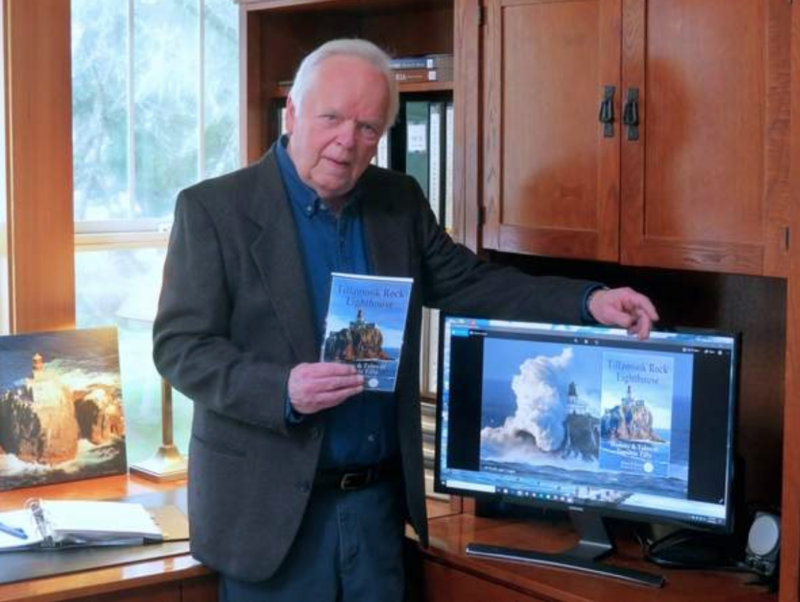 photo courtesy of "The Daily Astorian"
Brian Ratty '60 has a new book out called "Tillamook Rock Lighthouse: History and Tales of Terrible Tilly." 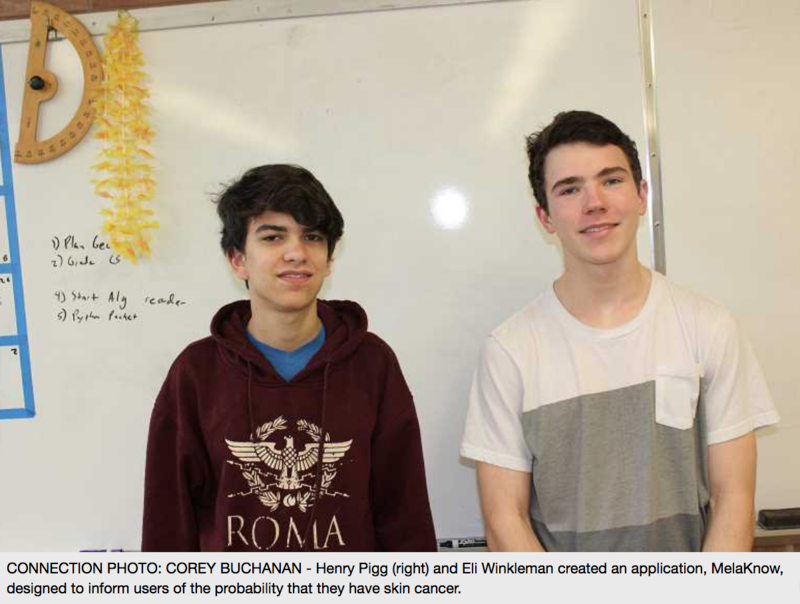 Click here to read the article about Brian by Rebecca Herren from The Daily Astorian. Lots of reunions are being planned, so reach out to your classmates for the dates/details. Please send those details to us and we will post on the alumni website. Send details to: Lsdoyle@earthlink.net. Please check out the WWHS Military Alumni page and read all about our amazing military graduates. To add your name and information to the WWHS Military page, Send your information to Linda Doyle at LSDOYLE@EARTHLINK.NET. Alumni and community members are continuing to move forward to establish the WWHS Alumni Association. Application process for tax-exempt status of association is progressing (with special thanks to Jack Bertell '58). If you would like to join them, contact Jack Bertell '58.